Anyway, for years after that her dollhouse just sat. We did buy an extension room which just sat in the box. A couple days ago she decided to put the extension room together herself and now she is updating and changing the actual house. So we have spent some time on Pinterest looking at minis. I absolutely love the mini stuff. So while she is busy working on and updating her house I decided I want to make one too. I know I am not the only adult that loves miniature. But I don't want to make a whole house, not when I have to help my daughter with hers. I decided to make just one room, because I saw that is also something people do. And if I'm going to do a single room, well of course it's going to be a sewing room. So I just thought I would share the process with you all. Since I am not entirely sure I am capable of doing this I am doing it as simply and as inexpensively as I can. So I built my room out of foam core board. The board I bought is 22" x 28" which is enough for a single room. If you are wanting to do the same my sewing room is 8 1/2" wide by 10" wide (I am making it 1:12 scale which means in real life this room would be 8 1/2 feet by 10 feet). I made my ceiling 9" tall. But the foam core is a 1/4" so I had to figure that into cutting the walls. So my floor is 8 1/2" x 10". My rear wall is 10" x 9". The two side walls are 8 1/4" x 9" and the ceiling is 8 1/2" x 10". You can cut all of these from one piece of foam core board and still have a little leftover. I went ahead and painted my side walls and back wall. Then on one side wall I cut a window. The window is 2" wide by 3" tall and it is 3" from the floor. Next I took the flat sticks and cut a window frame. First cut pieces to fit the sides of the inside of the window. Then cut pieces that will fit the bottom and top of the window. Then you will want to cut two pieces as the outer frame for each side. Then a piece for the top and bottom, and of course another piece for the ledge. I went ahead and cut another piece so that my window would appear to have two window panes. I will update as I work on the little room. I am really excited about it. I am super impressed with my window and when my husband got home from work I couldn't wait to show it to him. haha. I tend to see a quilt or project I like and usually that means I have to make it right away, which means what I'm working on gets put aside. I feel like this is a really bad habit for me. Now I have several quilt tops that are finished as tops but need batting and backing and quilting. I am really going to try to get those finished before I start anything new. Then I also have a paper piecing mini quilt I am working on where I have two blocks completed and the last two blocks partially completed. That really needs to be finished as well. omgosh that is an old one! 2012.... Definitely gotta finish that. My daughter's memory quilt from her baby clothes. This one will get finished first, before I move on to the others above. 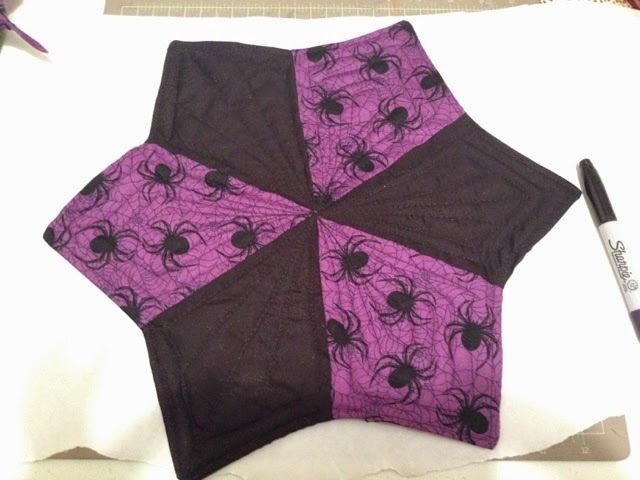 Then I also have a 12" quilt block that was a test for something. Not sure what to do with that? Maybe quilt it into a hot pad or table mat? I don't need it for a quilt or anything. Just remembered I also have three dresden plates I had made with the intention of making a table runner. So I guess I better get that finished as well. I feel like there are more but I just can't remember. I suppose once I finish the ones above I'll open my box and see what's in there that needs finishing. Does anybody else have this problem of not finishing projects? I cannot be the only one. I wanted some flowers for the front porch (impatient person here, can't wait for my potted flowers to bloom). Also now that I have finished them I am thinking they will make great teacher appreciation gifts. 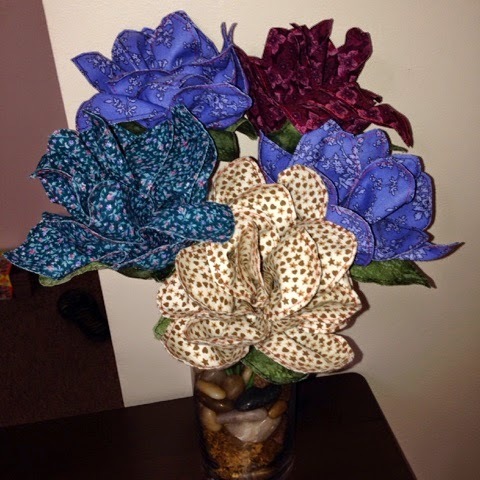 I found this tutorial for fabric flowers on a stick. What I did differently, which made these go a lot faster... I did not print her template. 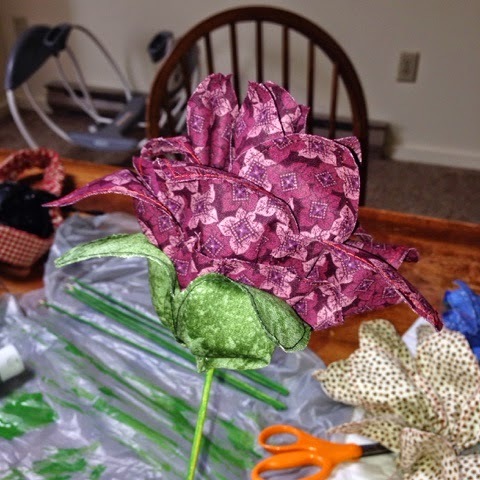 I did not trace every petal onto the folded fabric. I just put on my free motion foot and free motioned the petals and then cut around them. So my petals aren't all uniform in size and shape but when it's finished you really can't even tell. Free motion quilting the petals saves a lot of time. I also added leaves to mine. 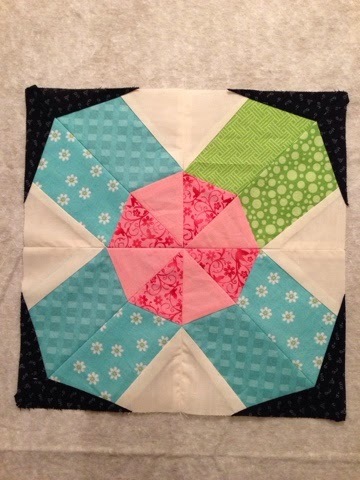 For the leaves, it's just three petals and the little tail, free motion quilted the same way I did the flower petals. I was on YouTube watching quilting videos and came across Jenny Doan's periwinkle candle mat video. I don't know if you know this about me but I am not a very patient person... Oh I am patient in traffic and I am patient with my kids but other than those two things I have no patience whatsoever. So basically I saw this video and had to make a candle mat RIGHT THEN. I can't go online, order a special tool and wait for it to arrive. I just can't. That doesn't mean I'm not going to order the tool eventually. It just means I wanted to make the candle mat right then and I wasn't going to wait on a special tool to arrive. What to do then? Make my own periwinkle tool, that's what! Before I tell you how to make one too, know that I did cut out six blades and finish a candle mat to make sure this would actually work. 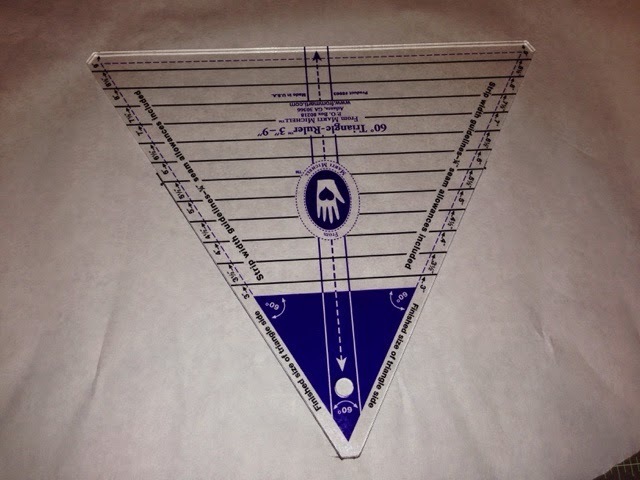 Note that I don't know what size the actual periwinkle ruler is, my periwinkle template is a good size and works well though... and I imagine you can use this technique to make several different sizes. 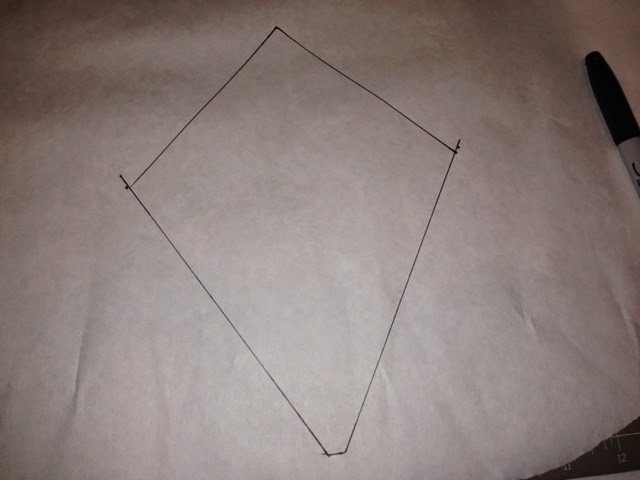 To make this you need a 60 degree triangle ruler and a square ruler. Because the periwinkle is basically a half square triangle sitting on top of a 60 degree triangle. 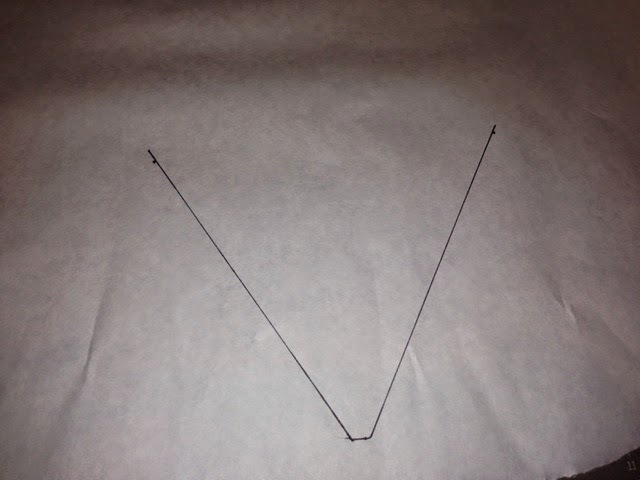 So what I did was traced around my 60 degree triangle from the top edge (the skinny edge) up each side to the 5 1/2 inch mark. 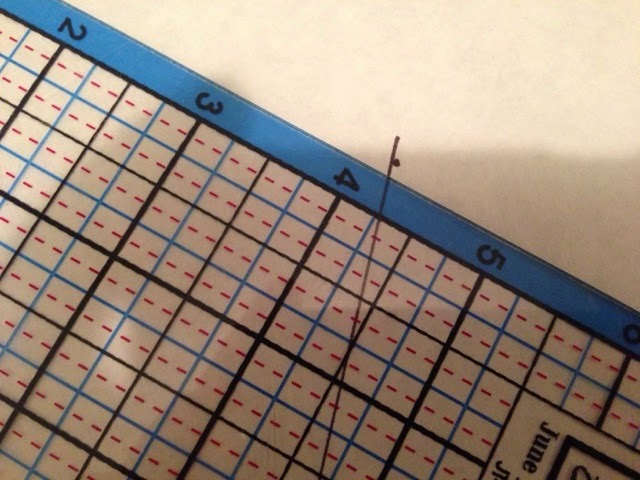 Then move that aside and grab your square ruler. 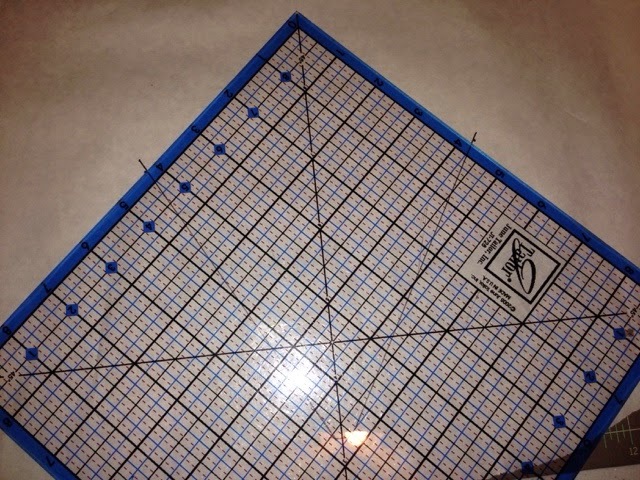 I made sure my 45 degree line was centered at the tiny point of the triangle (because it's not really a point, it's flat) then pulled my square ruler down until the 4 1/2 inch line on both sides met the triangle lines on each side. Then I traced around the top two edges. And there you have it. Now I know a ruler would be faster because you can cut around a ruler with your rotary cutter, but if you're like me and don't want to wait for your ruler to arrive before making something like the candle mat, it literally took me only an hour to: make the template, cut 6 petals with scissors, stitch, add batting and backing and quilt. 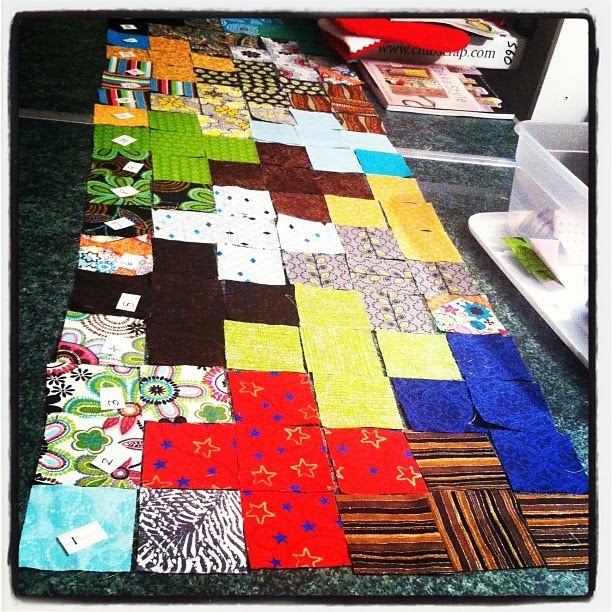 I am enrolled in Kimberly Einmo's Craftsy Class called Magical Jelly Roll Quilts. I love that class and I love love love this quilt. The way she has you put it together is so easy. This is my second Lonestar from the class, the other one I posted about here. 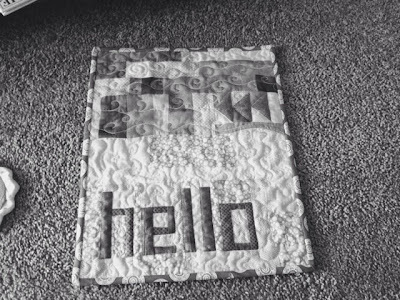 And then a couple days ago I enrolled in a class called Dot to Dot Quilting with Angela Walters, and I used the information from that class to quilt this little Lonestar. I am really happy with the way this quilt came out. 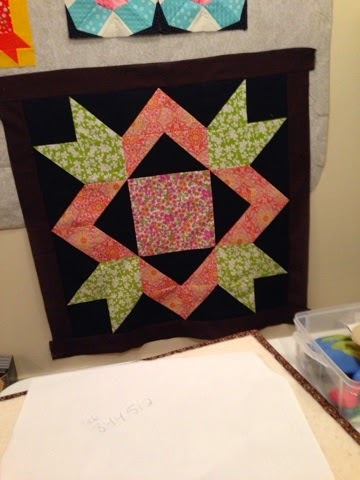 I really love it, I love the fabric, I love the star, I love the quilting. I just love everything about it. I kind of can't believe I finished this quilt in just two days. It's actually a mini quilt, 18" square, but with an almost-8-month old finishing any size of anything is no small feat. Ha. This came about when I was trying to copy a quilt block I had seen in a book, onto paper, and I actually copied it wrong. But I figured the new block was cute too, so instead of erasing the whole thing and redrawing it the "right" way I just went with this design. I am glad I did because I love this little mini quilt. I did write a pattern for it, in three sizes, the mini above which can be a wall hanging or table topper I suppose, a larger one which can be a larger table topper or wall hanging, and a lap size. Each of the three uses different sized blocks. And each can be made larger by adding more blocks. 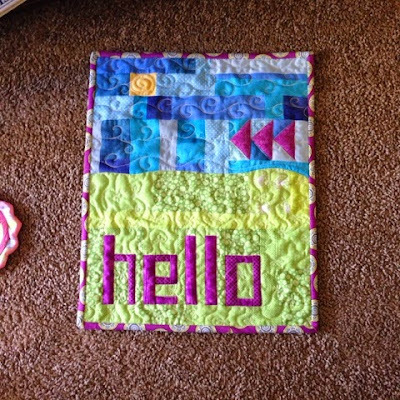 Although the pattern only includes fabric requirements and cutting instructions for the three block sizes and three quilt sizes. The pattern is available on Craftsy and Bonanza. 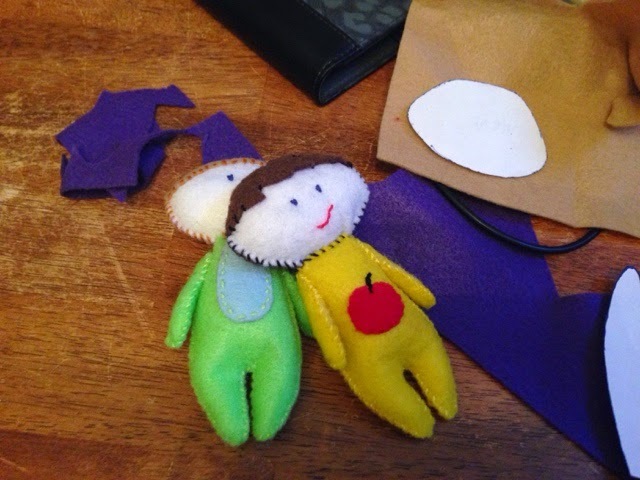 I have spent the last two days working on this pattern for these little pocket dolls. Drawing, scanning, printing and testing. The pattern writing was difficult because the program I usually use stopped working for some reason, which was really frustrating, it just kept crashing and I would get to the end and my photos would all be gone. Very frustrating. I finally ended up using Google Docs, which I have never used before but it seemed to work pretty good. I wasn't sure if the strap would be long enough so when Hannah got home from school I wanted to test it on her. She got really excited and asked if she could keep it (of course I let her keep it). Then she wore it for the rest of the night and her little pocket pal slept next to her on her night stand last night. These are pretty easy to make, I'm currently working on a few more, I can't seem to stop! The hardest parts are the arms because they are so small (the finished doll is only 5" tall) and sewing the lining in the bag (because it's small). I think when Hannah has birthday parties 'going to make these as gifts for those. Anyway, the pattern for these is here. Sometimes I get an itch to sew something specific for no particular reason. I just felt like making a bag. Added a little quilting to it. This bag is available for purchase here. Then my Aunt asked me to make her a couple of these baskets. Free tutorial here. She asked for one scrappy and one in a single print.